1:Heat panini press to medium. (Or can grill on skillet or George Foreman). 2:Peel and remove pit of avocado. Coarsely mash avocado in bowl using fork (leave some chunks). Add lemon juice and stir. Stir in onion, cilantro, chopped jalapeños, and tomatoes. Salt and pepper to taste. 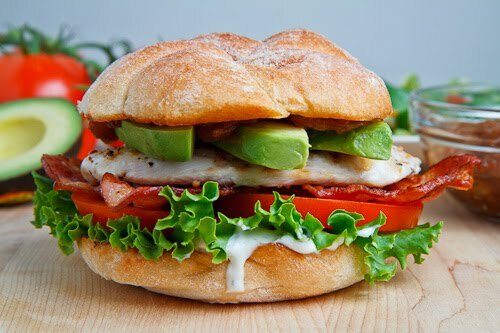 3:Spread thin layer of mayo on bread slices. 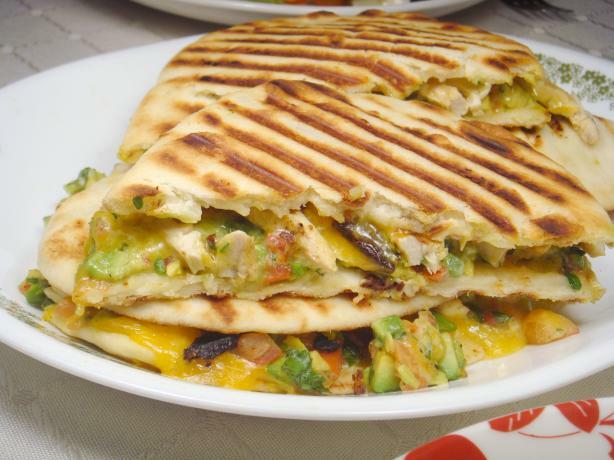 4:Assemble sandwich by layering onto bread sliced jack cheese, chicken, bacon, avocado mixture, and grated cheddar. Top with remaining slice of bread. 5:Grill until heated through and crispy on the outside. If using Naan bread, slice into six triangles. (If using other bread/tortilla, cut according to size of sandwich).